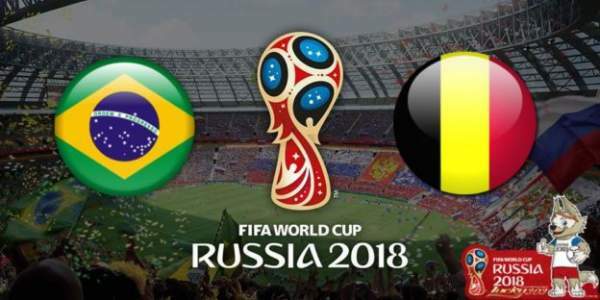 Brazil vs Belgium is the second match of today in the FIFA World Cup 2018 quarterfinal round. In this stage, the tournament is down to eight teams and it has been an intense competition among the best squads of the world. Both the teams have modern day football star players. However, Brazil hasn’t shown its best performance in attack yet. And Belgium has shown its rusty side in defense. Despite being Neymar, Coutinho, and Jesus, Brazil has scored only seven goals in four matches so far. But, their defense has been of quality and solid. That’s why they have restricted the opposition forwards from scoring goals. On the other hand, Belgium has shown its attacking quality by defeating Japan by 3-2 in the Round of 16. It adds to the testament of its attacking threat. But, its defense has appeared a little bit on weaker side. So, it gives Brazil a perfect to take full advantage of it. Brazilian coach Tite doesn’t much like penalty shootouts, but also runs out of better ideas. The five-times champion side has a penalty shootouts record at the World Cup of 3-1. The team won the 1994 World Cup by defeating Italy in shootout after a goalless draw. In 1998, it was successful in eliminating Netherlands on penalties and made it to the final. In 2014, it advanced to the quarterfinals by eliminating Chile the same way. Belgium: Courtois, Alderweireld, Kompany, Vertonghen, Meunier, Fellaini, Witsel, Chadli, De Bruyne, Lukaku, Eden Hazard. Both the teams have came across each other five times. Out of those five, only one was a World Cup match. It was in 2002 and Brazil won by 2-0. Out of the rest of the four games, Belgium managed to win only one and that was in 1963. But, history can’t decide the fate of each and every game. This time, the Belgian team has got the strength and players have been in the right form throughout the tournament.